Amazing how deep he can get into your email strategy and find the right remedy for your campaign if necessary. Yes, that’s him, Tim Watson! He has over 9 years of experience specializing in email marketing. Through his consultancy work at Zettasphere he helps brands develop email strategies that get more out of the email marketing channel. 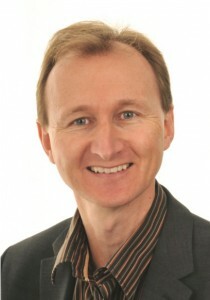 He also speaks and blogs on all things email and is the Chair for the DMA Email Marketing Best Practice group. I had a great conversation with Tim about… of course what else if not email marketing! The biggest mistakes, the greatest examples, today’s trends and those of tomorrow – here’s something what you can also inspire by. Q1 What is your most frequently given email marketing tip? A: That’s tough, I mean to select one tip. I work with many clients on strategy and the areas of win vary a lot from client to client as the best opportunities to increase revenue are contextual to the brand, current email activity and objectives. However the starting point to creating a better strategy is always a dive into the data to extract every nugget of insight about the customers. So if I had to give one tip I’d say get deep into your data and use all the hard evidence you can to understand your customers and then build a strategy based on the insights you’ve gained. Q2 What tactic would you suggest to have an instant impact on email campaign results? A: Send an extra email. Every email gets response so find ways you can use to send additional emails whilst keeping customer acceptance of your emails in their inbox. That could be to improve content value and relevance for large segmented sends or to add in triggered emails around customer behavior and lifecycle. Such as abandon basket, browse abandon, replenishment and so on. Even better, do both, up your game on the segmented sends and layer in triggered emails. Q3 What is the most common mistake marketers make in email marketing? Does it differ among beginners and professionals? A: Just as with the first question it’s tough to pick one common mistake. However, I do find list building is very often neglected. A lot of effort and thought goes into creating content, offers and campaigns and in the heat of day to day campaigns list growth gets neglected. So invariably when I start discussing with a brand their email strategy I always need to prompt them to talk about list building. Q4 What are the top ‘cannot-live-without’ email marketing trends every marketer should include in their marketing plans as soon as possible? A: In a word – behavior. Incorporating customer behavior data into segmentation and targeting of campaigns and content. Q5 Which email marketing trends should marketers think over to be ready for 2015? A: Increasing data-driven marketing with blended traditional bulk campaigns and always on trigger and behavioral marketing using email automation. Q6 Which brand, to your mind, sends the most compelling email newsletters? What is so special about them and what could everyone learn from them? A: I’ve talked to many of my peers and they have raved about fabulous campaigns of brand X or Y. I’ve checked out the campaigns and been totally underwhelmed. The point is what makes a compelling email newsletter is not driven by the newsletter but by the readers’ relationship with that brand. Beauty is in the eye of the beholder. Here goes anyway with the brands I dig. In B2B space a couple of services I use are FreeAgent (company finance solution) and PowToon (animated videos builder). I really like the tone of the copy they use. It comes across as one-to-one, friendly and approachable. Not the usual corporate marketing speaks. The emails are also simple and clean, quick to scan and read. For B2C the emails from GoApe (Outdoor tree adventure) and Spotify impress me. GoApe because the emails are clearly always promotional yet they find a different thing to say in every email and mix it up so it always feels fresh. Spotify for the behavior based targeting, with the music promoted being selected based on what I’ve been listening to. Q7 Which email marketing event would you recommend marketers to visit this year? A: Obviously any at which I’m speaking 🙂 The next one in the UK is On the Edge Digital in Bristol, when my topic is about ‘emails that deeply connect and delight’. But seriously, there are so many events and conferences I’d really suggest people pick the right one for them. Ask yourself what do you need? A conference covering many general marketing themes, several different digital channels, just email or even specific areas of email marketing? There are specialist conferences now such as The Email Design Conference (TEDC) for email designers that I spoke at last year, or if you’re into split test and optimization (like me) then Which Test Won ‘The Live Event’ TLE springs to mind. Thank you, Tim, for the in-depth answers! They are really useful, aren’t they, folks? And if you want more from our expert, follow Tim on Twitter at @tawatson.